account within the present year. 4. 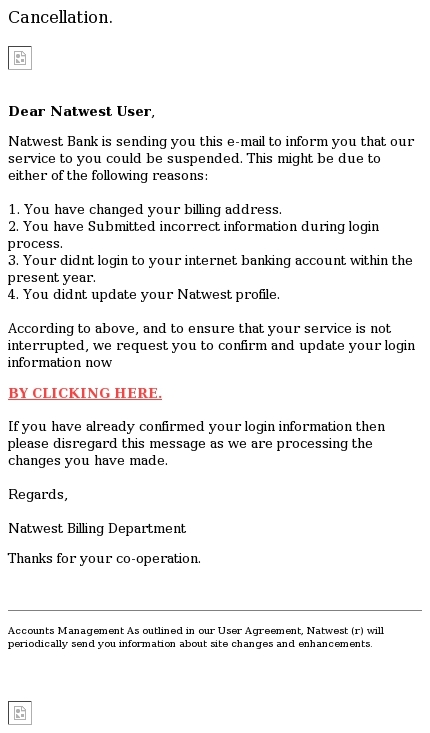 You didnt update your Natwest profile.